If you're Donald Trump in 2016, apparently one of your best lines of defense is to criticize your opponent for being too prepared. 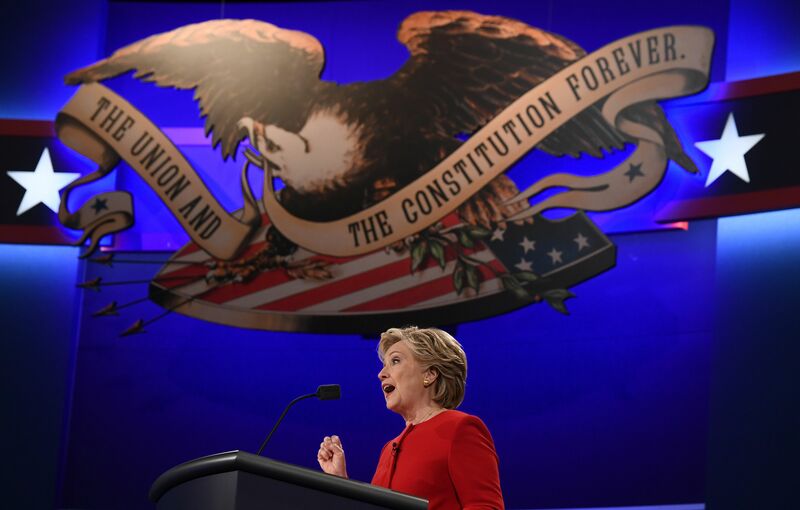 At least, that seems to be what happened in a moment that is sure to define the first presidential debate of 2016, when Hillary Clinton said she "prepared to be president," a statement directed at her opponent's absurd suggestion that preparing for a debate of this scale is somehow unseemly. While Trump's off-the-cuff strategy may appeal to a constituency tired of polished, poised career politicians, it definitely made him look bad during this debate. Nonetheless, Trump's criticisms of Clinton's "preparedness" fed right into his uncanny ability to feed lines to reporters: one announcer reportedly said Clinton was overprepared for the debate, which is about as ridiculous as saying Usain Bolt was overprepared for the Olympics, and there's little doubt that the "overprepared" line will be incessantly repeated by his fans. It's mind-boggling to assert that someone can be overprepared for a debate (or a presidency), especially when their opponent is as well-known a wild card as Trump. We have sadly reached a point in American politics where someone with as many qualifications as Clinton is derided for her formidable political experience. It's hard to view this as anything more than sexism. If nothing else, Trump and some pundits implying Clinton was "overprepared" gave a bunch of Twitter users a great reason to scoff at the idea of presidential over-preparation. I'm still trying to envision exactly how someone would over-prepare to be president... maybe by bringing too many changes of underwear or an entire suitcase full of books to the White House? They've really lost me on this one.